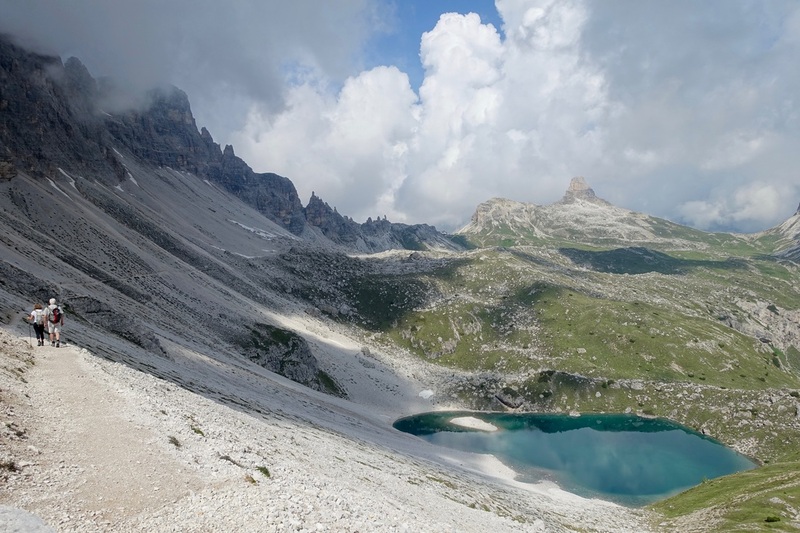 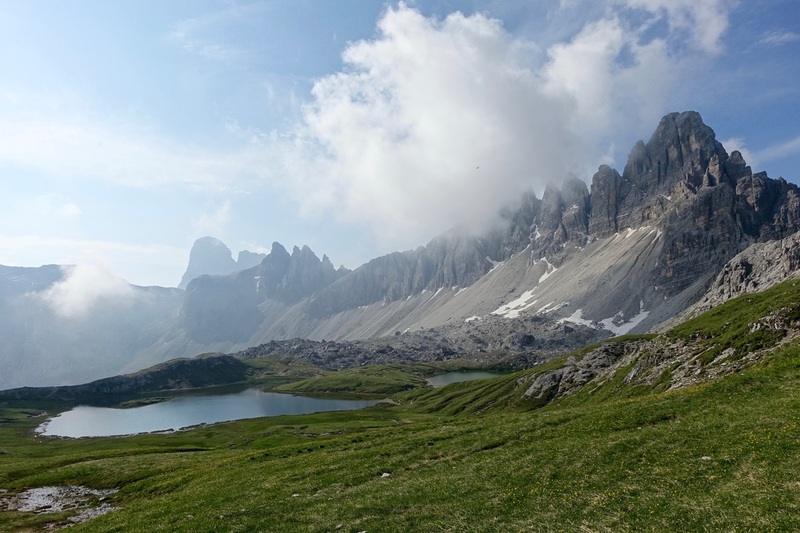 The high trail in Tre Cime National Park, most often called route 101, goes from the Tre Cime parking lot near Misurina to Rifugio Giralba Carducci beneath the Croda del Toni peak. 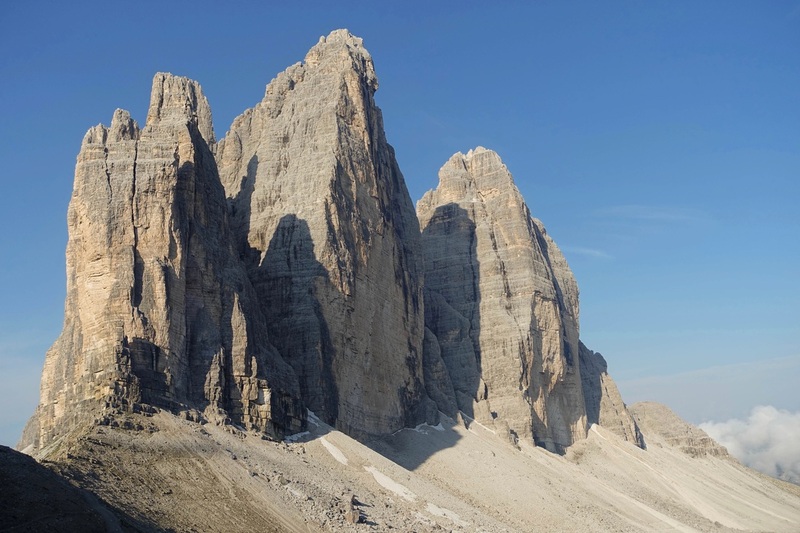 If using the Cicerone Guide, route 101 is a combination of the Val Fiscalina Tour and the Tre Cime Loop. 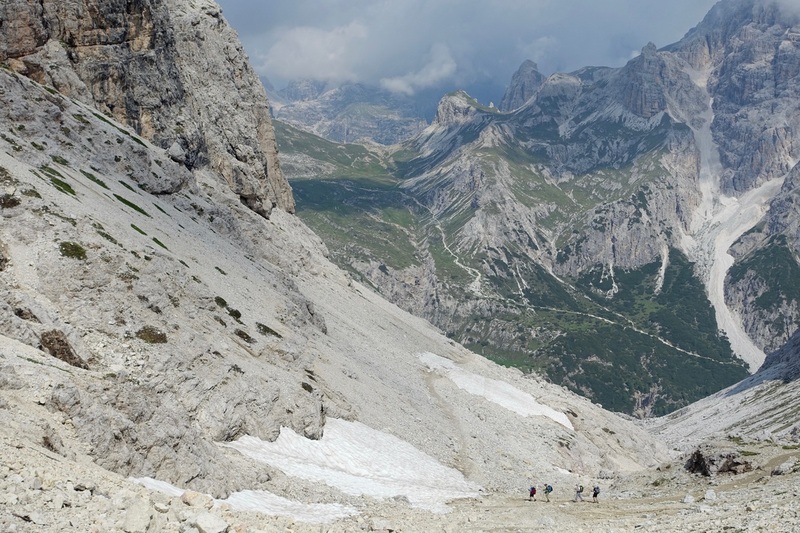 It briefly becomes a via ferrata at the Giralba pass, so I made Rifugio Giralba Carducci the turnaround point. 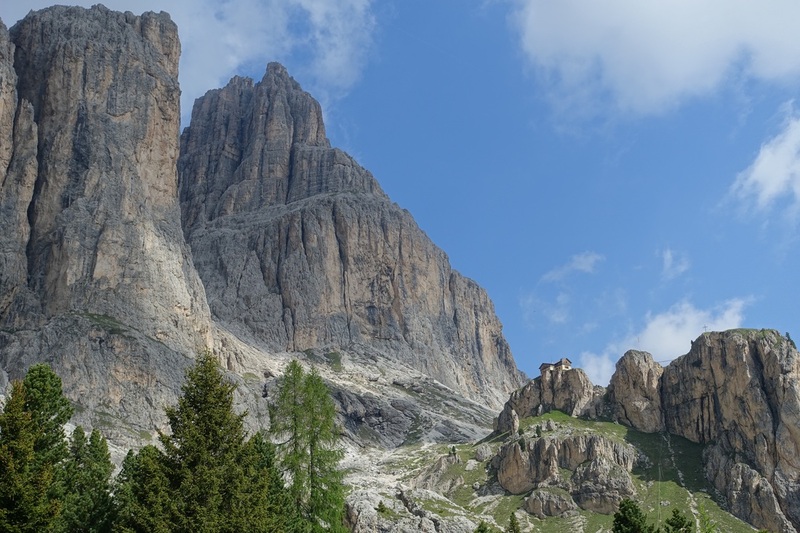 The Inner Catinaccio hike to the Vajolet Towers starts in the town of Vigo di Fassa taking the Catinaccio lift (8 miles return, 4200ft gain). 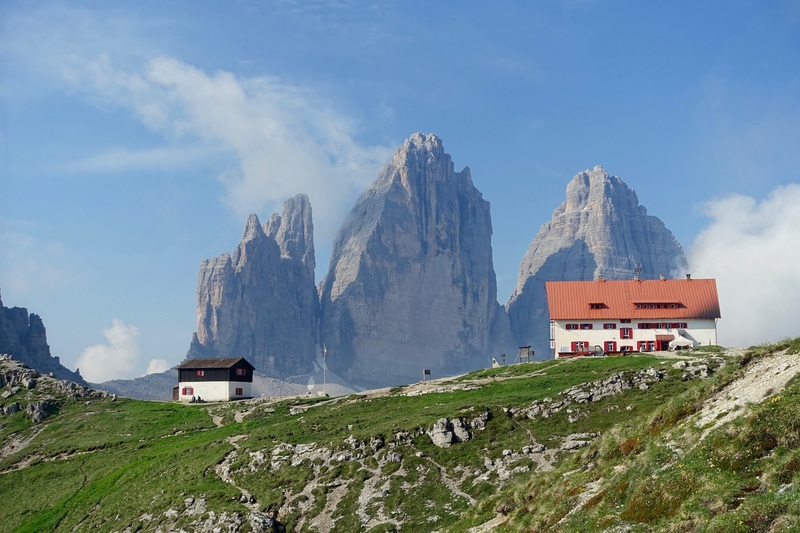 The Seceda peak is easily accessed by the Furnes/Seceda chairlift from the town of Ortisei and offers the best view of the Olde Mountains. 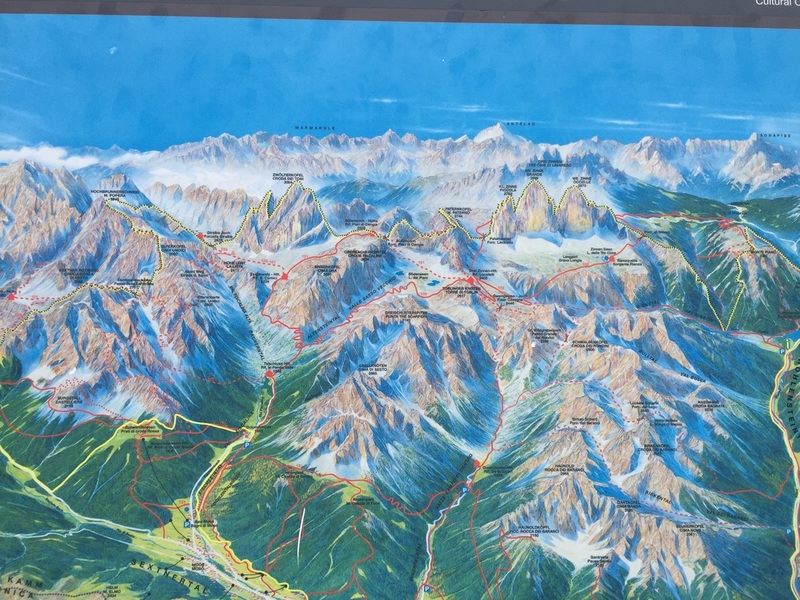 The hike could be done many ways, but found it best to return down on the Col Raiser lift to the town of St Christina. 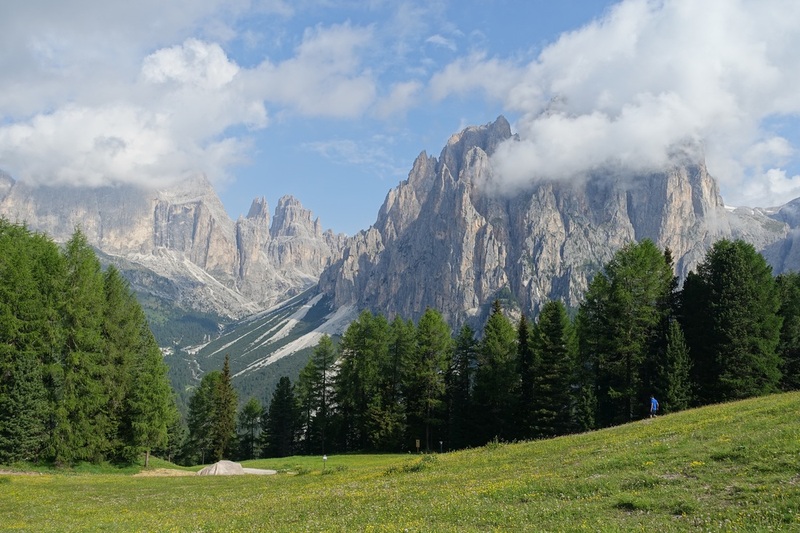 I also explored the Olde mountain range from below in Val di Funes, starting at the parking lot near Ansitz Ranuihof. 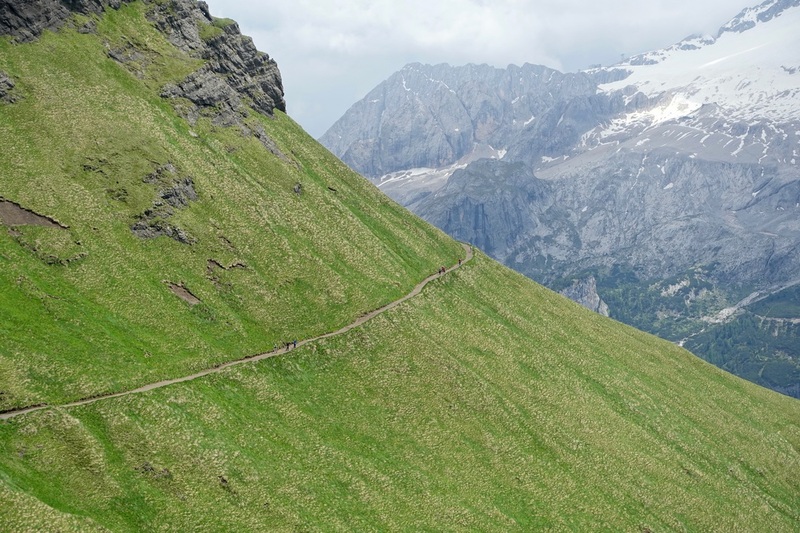 Unfortunately the trails here are mostly walking in the forest on gravel roads. 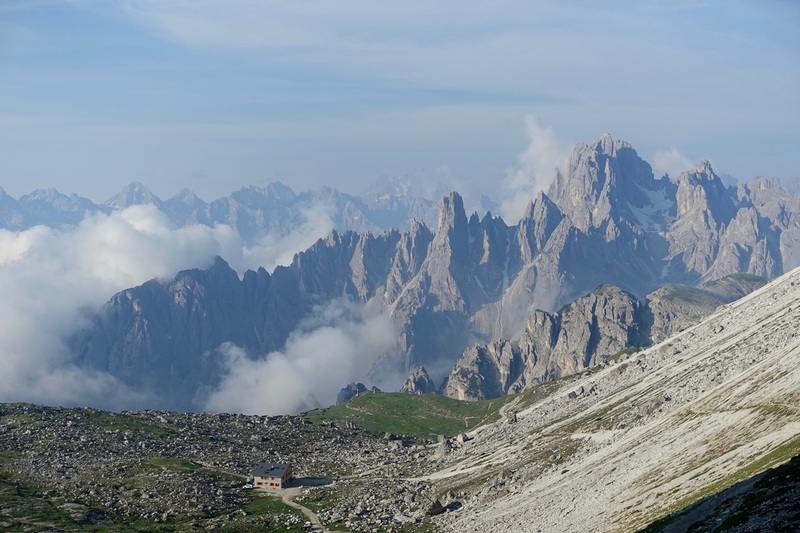 The exception is the view from Rifugio Malga Brogles, which is spectacular. 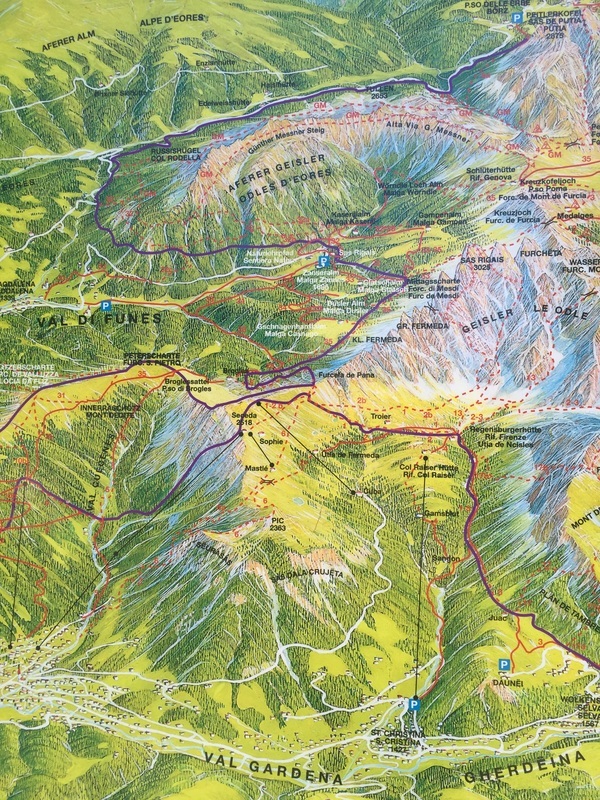 My suggestion would be to visit Malga Brogles from the town of Ortisei instead, walking along route 35 (see map). 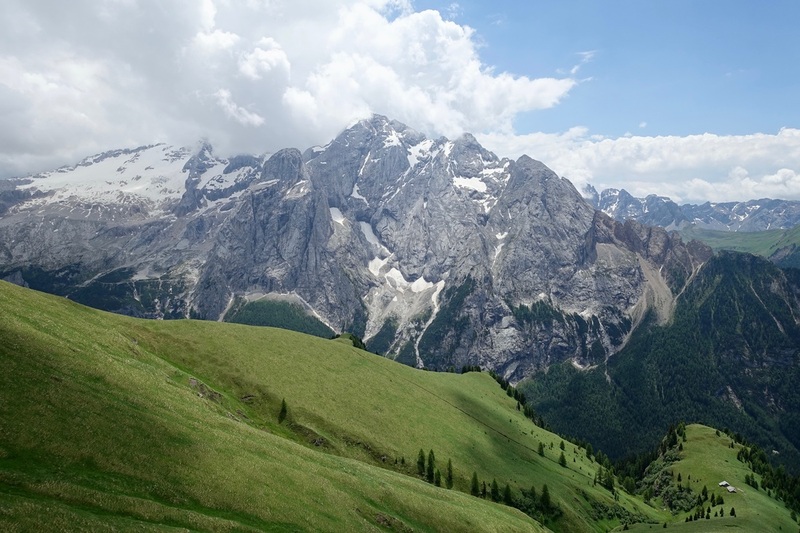 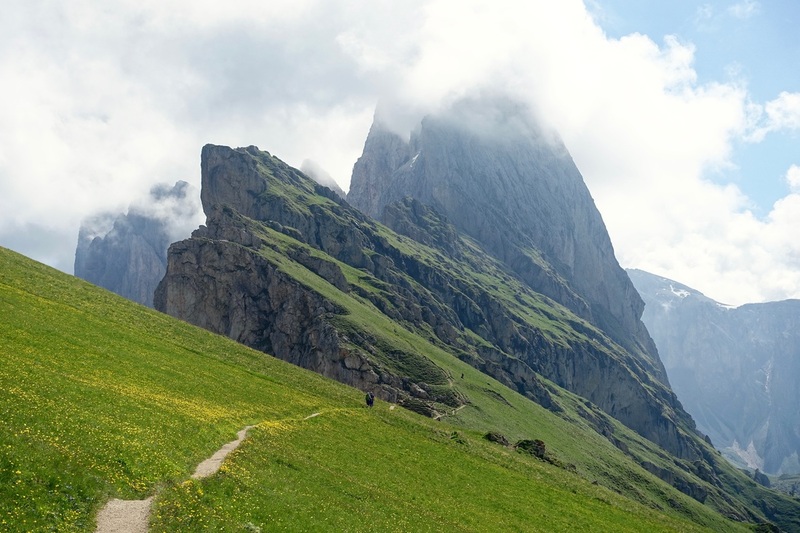 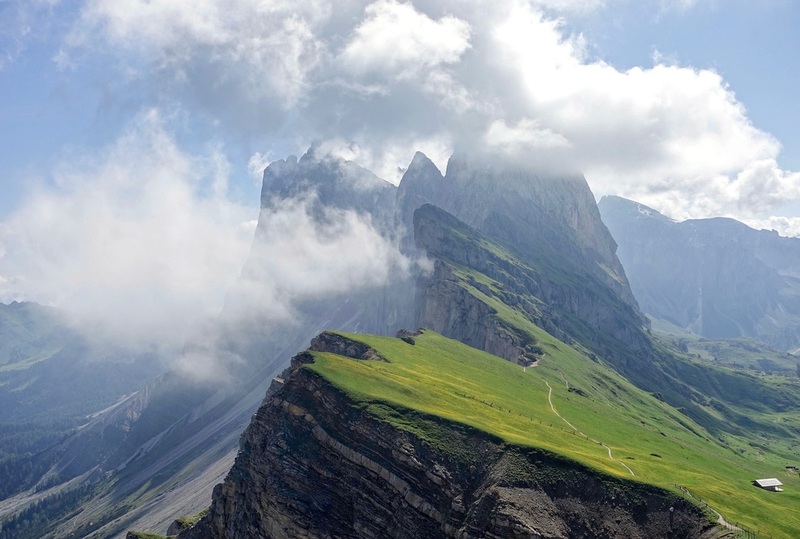 The highest peak in the Dolomites can be seen from the grassy slopes of the Viel Del Pan. 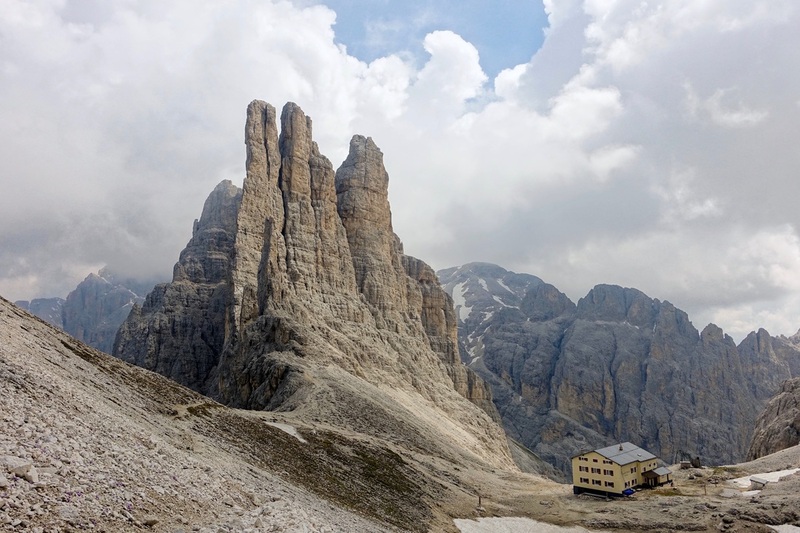 The route goes from Passo Pordi to Arabba with a return bus ride (4 miles one way, 1200ft gain).